A compact upper and minimal seams make for a simple look, while smooth waxy full grain leather means these shoes are durable and built to last. 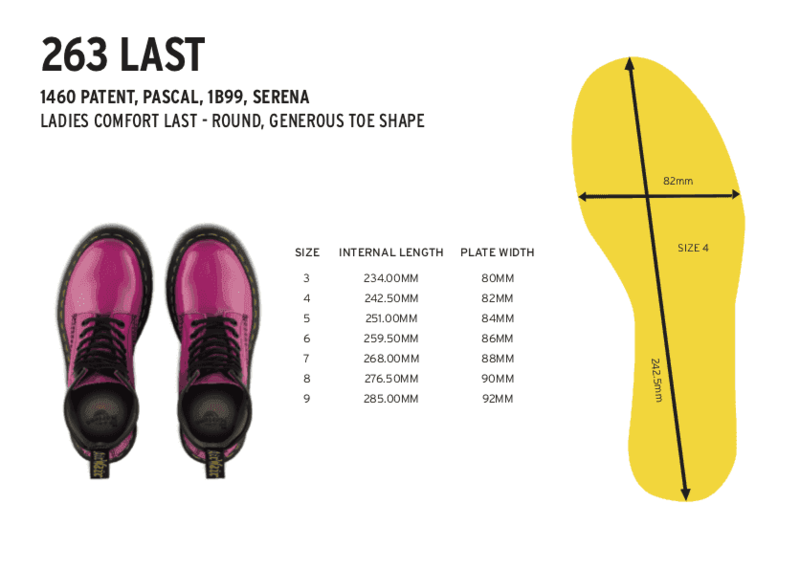 The sole is welted and air cushioned for comfort and stitched and cemented to the base of the upper and to the insole. The lace-up Lorrie women's shoe uses classic Dr. Martens styling and fuses it with simple details. Lorrie is part of our casual collection, which takes simple design and mixes it with retro influences and unexpected finishes.